At Avan Adelaide we have many years experience in the RV industry and have qualified technicians who can service or repair your caravan, camper or motorhome. To keep your caravan in tip top condition it’s important to maintain and service it regularly. We suggest you book in a caravan service every 12 months or 10,000kms to keep it in good working condition. It’s also important to take care of any repairs needed quickly. Our service department in Windsor Gardens is South Australia’s only Avan specialist workshop. We can also service and repair all other makes and models of caravans, campers and motorhomes. You can feel confident when choosing us to complete your caravan servicing or repairs as all work is guaranteed and carried out by qualified and licensed technicians. For further information on our service department please feel free to call us on 08 8261 8442. We have many years experience in repairing caravans, campers and motorhomes and guarantee the best result on all repairs. Our large workshop is fully equipped to repair any make and model of RV and all technicians are fully trained and experienced. 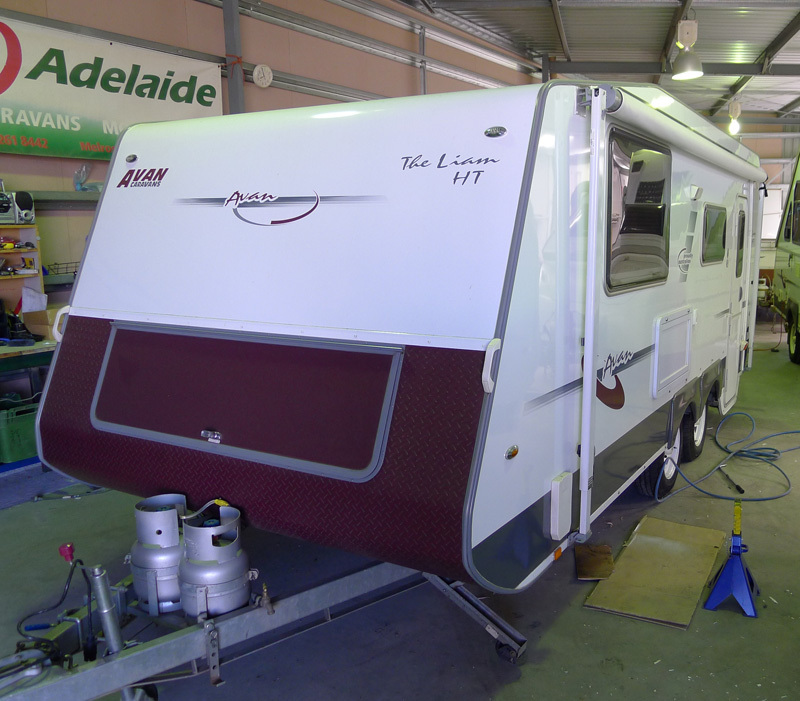 Avan Adelaide is the only authorised repairer for Avan, Golf and Knaus RV's in Adelaide.